In Mission Viejo, California, a 4 year old girl (Kayley Ishii) died as a result of blunt force trauma. Kayley apparently climbed into a front loading washing machine. Thereafter, it is suspected that her toddler brother may have hit a start switch or button. Since the entry into the washing machine was only 20 inches from the floor and the start button was accessible to a young child as well, this tragedy took place. 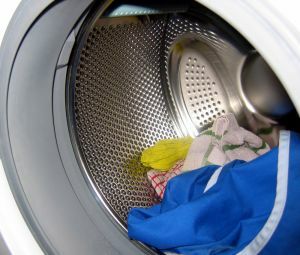 The sale of residential front loading washing machines has been on the rise during the past few years. The new washing machines are sleek, come in nice colors, have many settings, and, yes, pose a danger of personal injury and death to small children. Due to this tragedy and others that may happen, it would be helpful for front loading washing machines to come with a code function. In other words, for safety purposes, have the option of punching in some numbers to start the machine. Some machines may already come with this function. If not, it does not appear that it would take much effort on the part of the manufacturer to require this function. You can read more about this tragic story at California Four Year Old Dies in Washing Machine.